One of the things about being a part of the international community is that I am indeed open to trying new and exciting things, especially when it comes to food. As of late, I have been going to restaurants and switching into a mode of what it would be like to be abroad, lost, and hungry. Although I have several languages in my multilingual box, there could be the chance that I wind up somewhere among people who can only acknowledge my presence, but who cannot communicate with me other than with a nod, a quizzical frown, a smile, and a response of “Sorry, but I don’t speak English.” In the meantime, I would have to eat and it would help to not be a haughty American who sneers at everything that does not get come in the form of French fries, hamburger, hot dog, steak, potatoes, or macaroni and cheese. American comfort food has taught me one thing: it will bloat your waistline more than it will get you help abroad if you are hungry. I went to Forest Park, Illinois, to a stretch of eateries along Madison Street. On this particular day when I went, there were several different languages that I picked up and that is not something you find too common in the suburbs unless you are in the middle of a tourist setting where global visitors congregate. But in the midst of all the languages bandied about, outdoor cafes with patrons taking coffee, and quaint little side streets, there was a Vietnamese cafe that beckoned to me more. I obeyed and entered Saigon Pho & Cafe at 7237 Madison Street. The inside is reminiscent of a polished hole in the wall. Far from the usual garish display that you may find at some Asian restaurants, it was quite homey. Being the only exotic in the restaurant, I was greeted with authenticity, not with distance. That was absolutely cool because the welcome made it a little easier to switch into the mode of imagining what it would be like to be in Hanoi somewhere off the beaten path and wanting something to eat rather than being guarded. I have been to several Vietnamese restaurants. However, I have never been to Vietnam and noting that the wait staff and a few who poked their heads out from the kitchen were all Vietnamese, I figured this would also give me the chance to try a few words in the language to give myself comfort. All of that went out the window when the waiter saw my camera and we launched into lengthy conversation about cameras, camera equipment, photography, and locations for getting great shots. After the pleasantries had been exchanged and I had gotten out a few butchered words in Vietnamese, I placed my order. I ordered a mango smoothie without tapioca pearls. I love those pearls but even with the straw being wide, they tend to block the flow of the smoothie. Asian restaurants and cafes have a monopoly on smoothies and getting them correct. 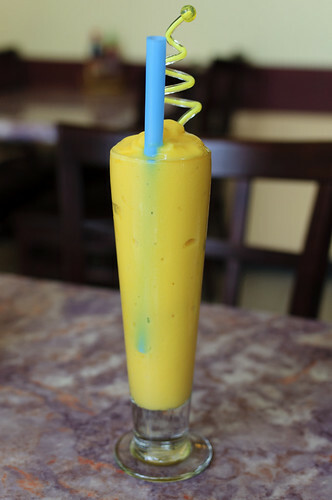 The mango smoothie at Saigon Pho & Cafe came in a fancy glass with a decorative stirrer, not in a plastic cup. And let me just say that the flavour exploded and had a little bit of pulp in it, which was all the hint I needed to know that some actual mangoes had been in a blender for the drink. And to go along with the smootie, I had egg rolls with a spicy plum sauce. 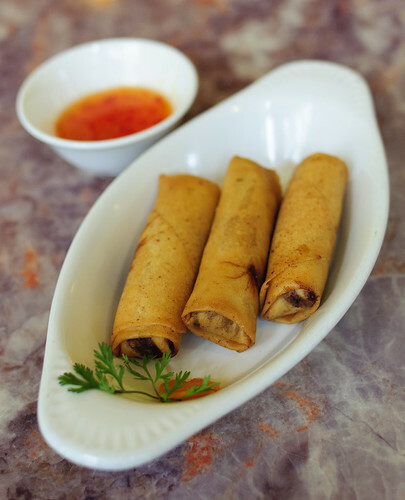 Much like mini egg rolls that you have at Chinese and Thai restaurants, they were crunchy on the outside and filled with carrots, bean sprouts, and chopped shrimp. With the weather having waffled a bit as of late, my sinuses had been having their merry way with me. 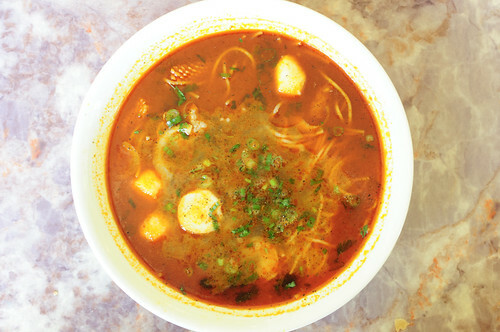 Knowing that Vietnamese food can have a kick to it, I scanned the menu for one of the soups. If you do not remember anything about Vietnamese cuisine, they tend to shame anyone who attempts to make a good soup. The seafood pho that I had was a prime example. Loaded with vermicelli, shrimp, mussels, and fish balls, not only did the spices tell my nasal passages to behave but the taste was dazzling. But let me not forget one ingredient that I would otherwise assume the haughty American stance and thumb my nose in disdain. There were a few pieces of tripe in the soup. Ah, don’t bother looking it up on Google. Tripe is the inner lining of the stomach. We all know that chitterlings are a delicacy, and one that I would gladly endure being set on fire for rather than eating. However, tripe is one ingredient that I have partaken of in Nigerian pepper soup and in other Vietnamese soup without as much as a grimace. It may be that the texture is more akin to that of calamari rather than that of an uncooked dumpling. It may be that I have beheld the malodorous horror of chitterlings before they were boiled to their edible state and not experienced the same of tripe. It may also be that tripe, if cooked the right way, has more of a seasoned taste to it. Either way, I devoured all of the soup. Wanting at least one other thing to journal for my experience at Saigon Pho & Cafe, I ordered a Vietnamese crepe with shrimp. 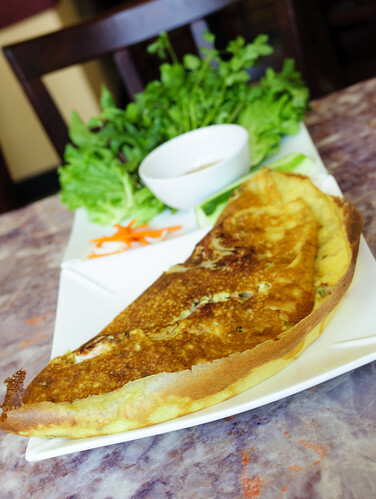 Brought to the table on a large plate was a crepe stuffed with shrimp, bean sprouts, and spices. There was also a plate of lettuce, mint, carrots, cucumber, and a vinaigrette sauce. In the traditional manner of eating the dish, you take a little bit of the crepe, wrap it in lettuce with carrots and cucumber, dip it in the vinaigrette sauce, and then eat. There was only a little bit of the crepe that I could tackle before surrendering and requesting a box for the remainder of it. While I waited and cashed out, the waiter and I talked more about cameras, the wise choice of buying a camera body and investing in lenses, and recommendations of some Vietnamese restaurants in the city north of where I live. For the few phrases of Vietnamese that I did get off my tongue, with a few corrections, English is quite a common language there. That’s fine, but when going to restaurants where there is someone in the kitchen or taking the order who knows as much English as I know Vietnamese, it would help to have a comfort requesting something for the palate. At Saigon Pho & Cafe, the price was much less that what one would expect. And with the wait staff being cool with my attempt at the language, I have a feeling that much like the way I learned Thai, I will polish my language talents in Vietnamese while indulging some pho on a regular basis. Hmm. No chance for me getting lost in Forest Park getting to the restaurant, for sure. Great write-up. Sounds like a wonderful place with the spicy seafood noodles and the Banh Xeo, which happens to be one of my favorites. Perhaps their smoothie to chase all the goodness down with more goodness. 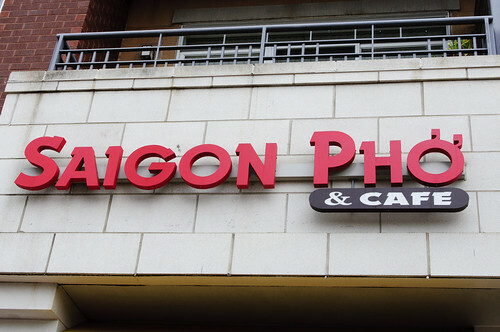 It’s finding places like Saigon Pho that makes blogging food that more exciting and fun. 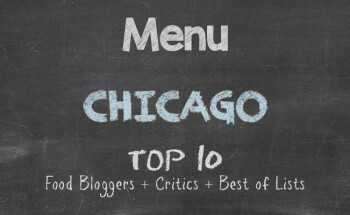 Not only was the food great, but the interaction that I had with the staff spoke volumes. It’s more than just the food that makes a restaurant.